It’s that time of the year again when we finally get a glimpse of what we’ll be wearing in the coming season. We’re talking about the designer collections presented in New York, Milan, London and Paris — the four fashion capitals of the world. Notable designers and fashion houses show off their creations to an elitist crowd and share the trends for the upcoming season. And when it comes to spring 2017 fashion trends, we have a lot to look forward to. 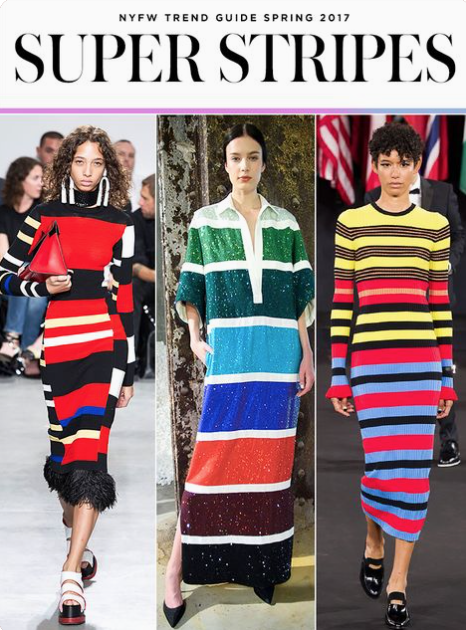 Horizontal stripes have been a staple in fashion since the ’50s, and they’re not going anywhere anytime soon. But the standard sailor top with blue and white stripes has gotten a makeover in 2017’s spring collections. Designers are using bold tones of red, yellow, blue and green to make up spring’s new color palette. When you’re shopping for the latest looks, choose bright and brilliantly textured stripes. Bold floral patterns are appropriately on trend this season. 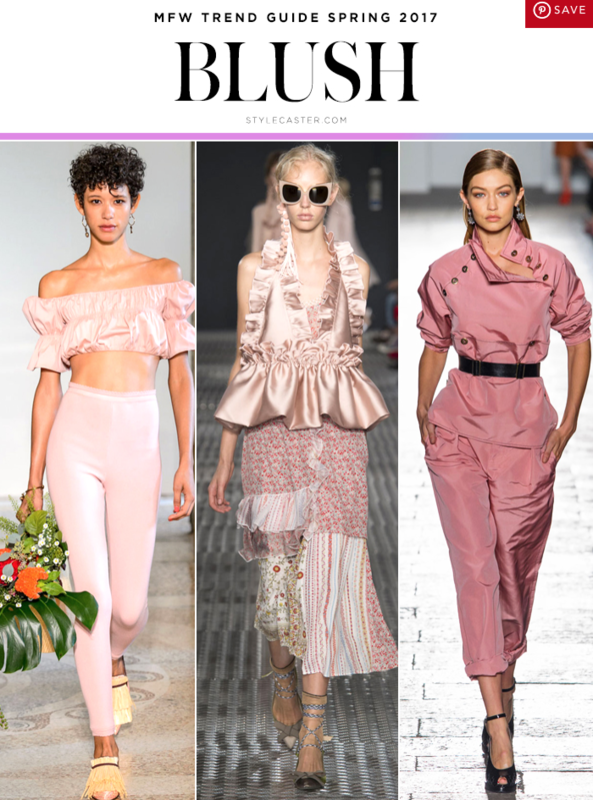 Although this is not an absolute novelty — flowers, leaves and petals have made appearances on the runways before — this year, the patterns are bolder than ever. 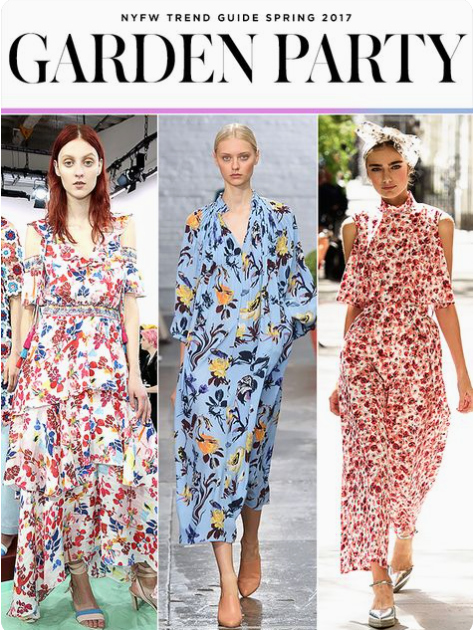 Skirts and dresses have been transformed into flowing, abstract gardens. Pair a floral piece with solid, subdued accessories. Ruffles and ties are no longer accessories! 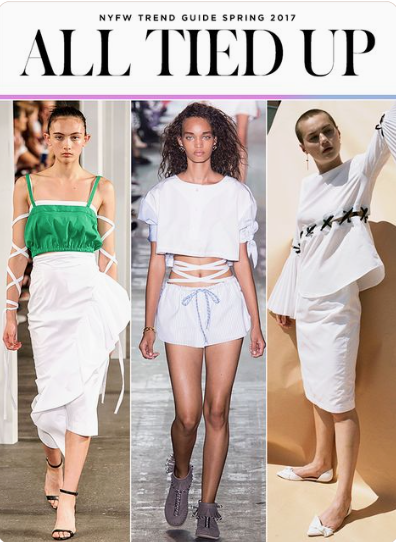 This year trends include frills and laces as main wardrobe staples. 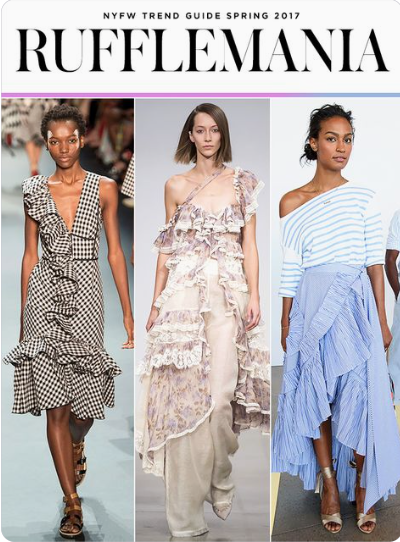 Ruffled off the shoulder tops and asymmetric dresses balance femininity with a little sleekness. Using ties, designers have created an in your face way to strap up for springtime by creatively incorporating laces in their pieces. The resulting looks pay homage to tradition, but show you’re not too concerned with playing by the rules. Although summer isn’t here — yet! 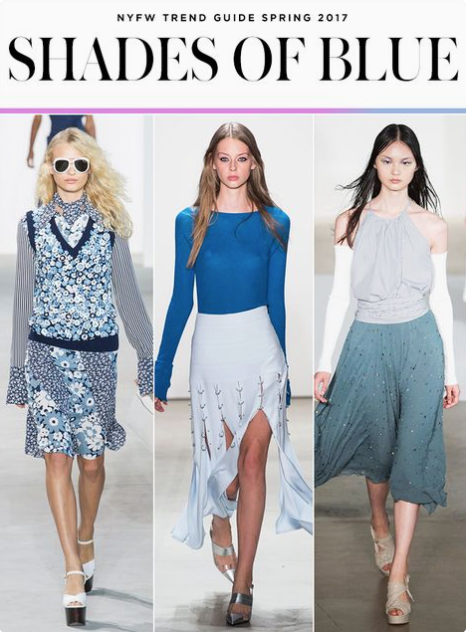 — we can dream of the summer sky ocean waves with tons of blue hues to choose from this spring. From sky-blue hues to bright turquoises, the range and prevalence of blue gives black a bit of a makeover. Trade in your black for a navy blue to achieve a slimming look that’s more modern and on trend. From light khakis to neutral creams and blush pinks, the style this spring is demure yet elegant. 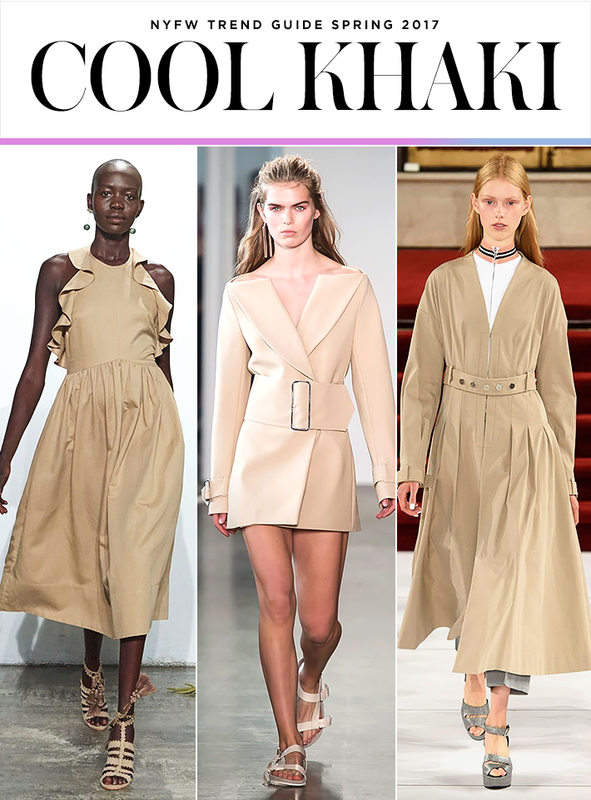 Yes, all spring collections have displayed explosive neon colors and fluorescent shades, but this spring’s neutrals are beige and blush. Pair these pieces with gold accessories. From creative to conservative, this season’s collections are ready to indulge every mood and attitude.